Our Handbag Collection has just Launched! 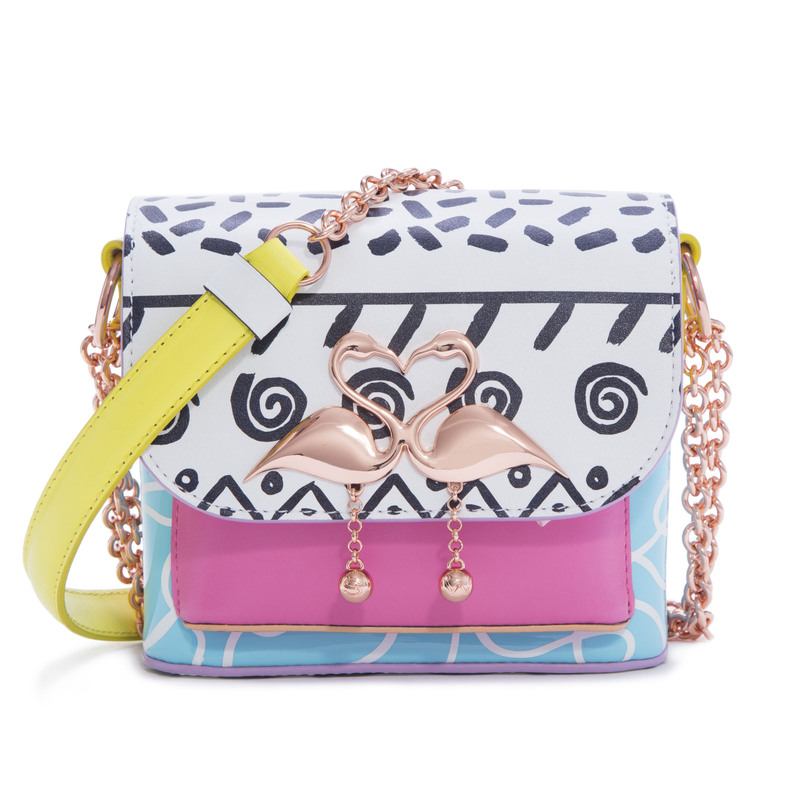 Sophia Webster is delighted to announce the global launch of her very first dedicated handbag collection. This highly anticipated collection consists of a focused yet expanded range of styles across key categories, from everyday totes to cross body bags and red carpet worthy minaudière clutches. This collection embodies key brand codes: imagination, femininity and fearlessness, for which Sophia Webster has become renowned. 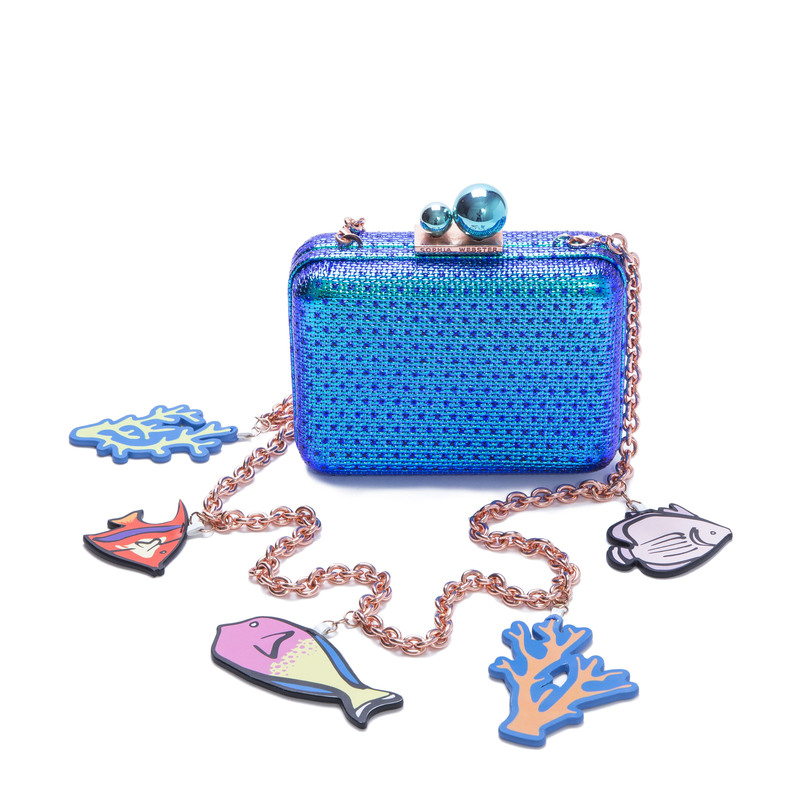 Webster’s debut handbag collection paints a picture of a journey from the seaside to an underwater mermaid dreamscape. Totes, cross-bodies, bucket bags and pouchettes are splashed with prints inspired by the scenes encountered along the way. Hockney’s nonchalant poolside settings, Malibu sunsets, 80’s Miami palettes and prints, tie-dye Californian beach babe cool and classic nautical references all inspire the fabrications. Clutches feature iridescent diamante finishes and neon-accented flower embellishment, which evoke tropical sealife. This collection features key bag silhouettes adorned with the bright bold designs that Webster is known for and sees the signature speech bubble bag receive a ‘NautiCool’ update. Metalware is finished in the house rose gold. Codes iconic to the bag brand include a flamingo-heart hardw are, asymmetric ball locks and beads, colourful woven rope handles, exclamation zip pullers, seasonal charms and unique interior prints, all highlighting Webster’s fastidious attention to detail.